Soon after the Pakistan army took over Dacca Betar Kendro in the early hours of March 26, 1971. The Pakistanis renamed the radio station "Radio Pakistan Dacca" and used it to announce martial law orders. The Pakistan army's attempt at silencing the voice of the Bengalis had begun. Bengalis, however, fought back. The war of Bangladesh's Liberation had begun. On the evening of that same day a small radio station started broadcasting defiantly in the face of the Pakistan military's bloody onslaught on the Bengalis. The clandestine radio station, located in Kalurghat, north of the city of Chittagong, declared to the world: "The Sheikh has declared the 75 million people of East Pakistan as citizens of the sovereign independent Bangla Desh." The station called itself Swadhin Bangla Betar Kendro. For the next four days the radio station engaged in a propaganda battle with the Pakistan army. While the Pakistan army claimed all was calm in Bangladesh, the clandestine radio station declared liberation forces were marching on the capital and Pakistani soldiers were surrendering. While the Pakistan army claimed it had crushed the will of the Bengalis, the clandestine radio station declared that the Pakistani military governor General Tikka Khan had been assassinated. While the Pakistan army claimed the Bengalis had been defeated, the clandestine radio station claimed that a provisional government of Bangladesh had been formed. In those early days of the genocide, Swadhin Bangla Betar Kendro declared to the world that Bengalis would not give up, that Bengalis would fight, and that the sacrifice would not go in vain. And the world listened. 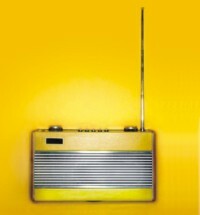 The small radio station in Kalurghat during those five crucial days in March refused to be silenced. It rallied the morale of the Bengalis and it frustrated the Pakistani army. The last message from Dacca Betar Kendro was delivered by announcer Nazma Akhtar: "The 75 million people of Bangla Desh, freedom-loving as they are, have been subjected to brutal genocide by the army. The people of Bangla Desh will shed more blood rather than forget the injury. We will never allow the sacrifice to go in vain." The men and women of Swadhin Bangla Betar Kendro and the men of the East Bengal Regiment who defended the station from attack, and announced to the world that an organised Bengali resistance was fighting back, ensured that Pakistani tanks and airplanes could not silence the voice of the 75 million people of Bangladesh. Recently, the Bangladesh government undertook an effort to revise the history textbooks in Bangladesh to more accurately reflect the history of how the independence of Bangladesh was declared on March 26, 1971. In the tug of war between the Awami League and the Bangladesh Nationalist Party, the history of Bangladesh has been rewritten several times over the past three decades. School textbooks have been written and rewritten to reflect varying narratives of the role of Sheikh Mujibur Rahman and Ziaur Rahman in the declaration of Bangladesh's independence. In revising the history books, the current government relied on the government's official history of the war of independence published in 1982 by the Bangladesh government. -Sheikh Mujibur Rahman's declaration was broadcast on the day of March 26, 1971 from Kalurghat in Chittagong. However, very few people heard that broadcast. -Ziaur Rahman, then a major in the East Bengal Regiment, broadcast a declaration from Kalurghat on behalf of Sheikh Mujibur Rahman on March 27, 1971, that was picked up by the foreign press, and the world came to know about Bangladesh's declaration of independence. The above timeline suggests that until Major Ziaur Rahman broadcast his speech on March 27, the outside world did not hear about Bangladesh's independence. "An English translation of the first declaration of independence by M A Hannan on 26th March 1971 ... It is believed that the first declaration of independence was not widely noticed by international media and the international community." Major Ziaur Rahman's opening words in Bangla, "Ami Major Zia Bolchi," that is, "I am Major Zia speaking," were picked up by news agencies and given wide publicity across the globe. "Ami Major Zia Bolchi" was followed by a declaration of a sovereign and independent Bangladesh. These words were first picked up by a Japanese ship anchored in Chittagong harbour, and flashed to the world. News of Zia's declaration was first broadcast by Radio Australia, and the world at large came to know of birth of Bangladesh. The facts and the available documentary evidence however paint a starkly different picture. A survey of leading English lan-guage newspapers from around the flashed around the world on news wires on the evening of March 26, 1971. world shows that the world came to know about the independence of Bangladesh from Sheikh Mujibur Rahman's original message received in Calcutta on the morning of March 26 and from broadcasts from Swadhin Bangla Betar Kendro on the evening of March 26. 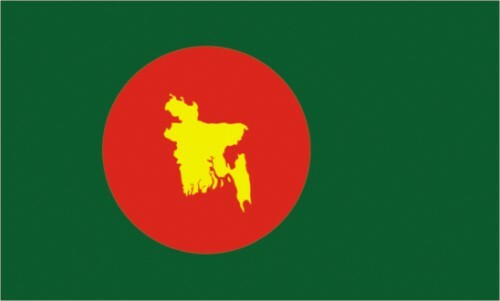 The following English newspapers were surveyed to examine how Bangladesh's declaration of independence was reported in the world press in March, 1971: The Statesman and The Times of India from India; Buenos Aires Herald from Argentina; The Age, The Sydney Morning Herald from Australia; The Guardian from Burma; The Globe and Mail from Canada; Hong Kong Standard from Hong Kong; The Jakarta Times from Indonesia; Asahi Evening News from Japan; The Rising Nepal from Nepal; The Manila Times from the Philippines; The Straits Times from Singapore; The Pretoria News from South Africa; The Bangkok Post from Thailand; The Daily Telegraph, The Guardian, The Times of London from the United Kingdom; and, Baltimore Sun, The Boston Globe, Chicago Tribune, Christian Science Monitor, Los Angeles Times, The New York Times, The Philadelphia Inquirer, San Francisco Chronicle and The Washington Post from the United States. In a message to the world broadcast by an unidentified wireless station monitored in Calcutta, the Awami League leader declared that "the enemy" had struck and that the people were fighting gallantly. 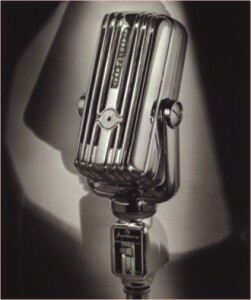 In a subsequent broadcast over a radio station, describing itself as "Swadhin Bangla Betar Kendra" (Free Bengal Wireless Station), monitored in Shillong, he proclaimed Bangla Desh an independent republic. Mr. Rahman, in a message to the world broadcast by an unidentified wireless station monitored in Calcutta this morning declared that the enemy had struck and that the people were fighting gallantly. In a subsequent broadcast over a radio station, describing itself as "Swadhin Bangla Betar Kendra" (Free Bengal Wireless Station) monitored in Shillong, Mr. Rahman proclaimed Bangla Desh an independent republic. Sheikh Mujibur Rahman said in a message to the world today that the people of Bangla Desh were fighting gallantly for their freedom. The message, broadcast by an unidentified wireless station, was picked up here. It was believed that the station was located at Chittagong or Chalna in East Pakistan. Mr. Rahman said in the message: "Pakistani armed forces suddenly attacked the East Pakistan Rifles base at Bilkhana and Rajarbagh near here at zero hours today, killing a lot of [unarmed people]. "Stern fighting is going on with the EPR in Dacca and the police force. The people are fighting the enemy gallantly for the cause of the freedom of Bangla Desh. "Every section of the people of Bangla Desh must resist the enemy forces at all costs in every corner of Bangla Desh. "May Allah bless you and help you in the struggle for freedom from the enemy. Jai Bangla." Mr. Rahman said: "Pakistan armed forces suddenly attacked the East Pakistan Rifle base at Pielkhana and Rajabag police station in Dacca at zero hours on March 26, killing a number of unarmed people. Fierce fighting is going on with East Pakistan Rifles at Dacca. "People are fighting gallantly with the enemy for the cause of freedom of Bangla Desh. Every section of the people of Bangla Desh are asked to resist the enemy forces at any cost in every corner of Bangla Desh. May Allah bless you and help in your struggle for freedom from the enemy. Jai Bangla." In the evening on March 26, 1971, Swadhin Bangla Betar Kendro at Kalurghat came alive for the first time and broadcast multiple messages. These broadcasts were all monitored and reported on. Most significantly, one report from Kalurghat on that evening was monitored in India as saying: "The Sheikh has declared the 75 million people of East Pakistan as citizens of the sovereign independent Bangla Desh." Sheikh Mujibur Rahman declared independence for East Pakistan Friday as the long smoldering feud between the two wings of the Islamic nation flamed into open civil war. A clandestine radio broadcast monitored here from a station identifying itself as "The Voice of Independent Bangla Desh (Bengali homeland)," said, "The sheik has declared the 75 million people of East Pakistan as citizens of the sovereign independent Bangla Desh." The documentary evidence confirms that Bangladesh's declaration of independence was heard on March 26, 1971, from Swadhin Bangla Betar Kendro at Kalurghat and reported on in world newspapers the following morning. According to an article in the Bangladesh Observer published on April 23, 1972, the first persons to broadcast Sheikh Mujibur Rahman's declaration of independence in the evening on March 26, 1971, from Swadhin Bangla Betar Kendro in English were Ashikul Islam, a WAPDA engineer, and in Bengali, Abul Kashem Sandwip. Later in the evening M. A. Hannan also broadcast the declaration in a speech. Swadhin Bangla Betar Kendro continued to broadcast from Kalurghat from March 26 till March 30, when Kalurghat was abandoned due to Pakistani air attacks. On March 28, 1971, Indian newspapers reported that a Major "Jia Khan", or "Zia Khan", had also broadcast an announcement on March 27. Zia Khan was identified by the announcer as "Chief of the Liberation Army of Bangla Desh." In another broadcast the radio claimed that freedom-loving people of Baluchistan, the North West Frontier Province and Pakhtoonistan had declared independence, following the example of Bangla Desh. The person who spoke on the radio was identified as "Major Jia, Chief of the Liberation Army of Bangla Desh." Major Zia Khan, chief of the Bangla Desh liberation army, declared over the free Bangla Radio tonight that Bangla Desh would be rid of the Pakistani military administration in two or three days. The West Punjabi soldiers "will be annihilated" if they did not surrender, he said. The reports misidentified Major Ziaur Rahman as "Zia Khan" or "Jia Khan." The reports did not make any mention of a declaration of independence by Major Zia on March 27, 1971. These two reports in the Indian newspapers on March 28 were not picked up by the world press. Beyond the Indian newspapers, a survey of major English language newspapers around the world on March 28, 1971, found no reports on Major Zia's broadcast on March 27. On March 28, 1971, broadcasts from Swadhin Bangla Betar Kendro monitored in India announced that a provisional government of Bangla Desh had been formed and that Major Zia Khan, or Major Jia Khan (again misidentifying Major Ziaur Rahman) had been declared the temporary head of the provisional government. The Kalurghat broadcasts announced that the provisional government "would be guided by Banga Bandhu Mujibur Rahman." In a broadcast over the Free Bangla Radio Major Jia Khan, commander-in-chief of the "liberation army" said: "I hereby assume the powers of the provisional head of the liberation army of Swadhin Bangla Desh. "As provisional head I order the freedom fighters of Bangla Desh to continue the struggle till ultimate victory. Jai Bangla." He said the enemy was bringing additional troops both by the sea and by the air." He appealed to all peace-loving peoples of the world to come to help of "the democratic minded fighting people of Bangla Desh." Major Jia claimed that the "liberation army" had killed 300 men of the Punjab Regiment at Comilla. Other men of the regiment fled at the end of the fighting. Supporters of the East Pakistani leader, Sheik Mujibur Rahman, today formed a provisional Government under the temporary leadership of Major Zia Khan. 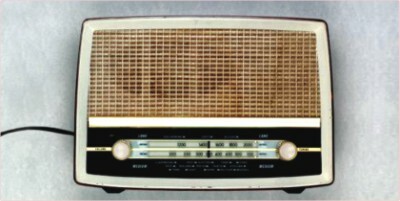 A rebel radio, announcing the new Government, identified Major Zia as head of the liberation army of Sheik Mujib's Awami League. The radio did not explain why Sheik Mujib had not been appointed leader of the Government. There is however no report of Major Zia's declaration of independence in the world press on March 29, 1971. "Major Zia, Provisional Commander-in-Chief of the Bangladesh Liberation Army, hereby proclaims, on behalf of Sheikh Mujibur Rahman, the independence of Bangladesh. "I also declare, we have already framed a sovereign, legal Government under Sheikh Mujibur Rahman which pledges to function as per law and the constitution. The new democratic Government is committed to a policy of non-alignment in international relations. It will seek friendship with all nations and strive for international peace. I appeal to all Government to mobilige public opinion in their respective countries against the brutal genocide in Bangladesh. "The Government under Sheikh Mujibur Rahman is sovereign legal Government of Bangladesh and is entitled to recognition from all democratic nations of the world." The date of this speech is given in the Dalil Potro as March 27, 1971, and was sourced in the Dalil Potro to The Statesman published from New Delhi on that day. However the March 27, 1971, issue of The Statesman does not contain this speech. The first reports of Major Zia's speech cited in the Dalil Potro appeared in the Indian newspapers on March 31, 1971. According to Indian reports the speech was broadcast from Swadhin Bangla Betar Kendro on the morning of March 30, 1971. Calcutta, Mar 30 - The Government under Sheikh Mujibur Rahman is the sovereign legal Government of Bangla Desh and is entitled to recognition by all democratic countries of the world, Maj Jia Khan, provisional Commander-in-Chief of the Liberation Army, declared this morning, reports UNI. In a broadcast over Free Bangla Radio on behalf of the Sheikh, Maj Jia Khan said: "The new democratic Government is committed to a policy of non-alignment in international relations. It will seek friendship with all nations and strive for international peace. "We have already formed a sovereign legal Government under Sheikh Mujibur Rahman which pledges to function as per law and the constitution. "We therefore appeal to all democratic and peace-loving countries of the world to immediately recognize the legal democratic Government of Bangla Desh." He appealed to all Governments to mobilize public opinion in their respective countries against the "brutal genocide" in Bangla Desh. Maj Jia Khan said the Pakistan Government was trying to confuse and deceive the people of the world through contradictory statements. "But nobody will be deceived by Yahya Khan and his followers," he said. Calcutta, March 30. The Government under Sheikh Mujibur Rahman is the sovereign, legal Government of Bangla Desh and is entitled to "recognition from all democratic countries of the world." Major Zia Khan, Provisional Commander-in-Chief of the Liberation Army, declared this morning. In a broadcast over Free Bangla Radio on behalf of the Sheikh, Maj. Zia Khan said: "The new democratic Government is committed to a policy of non-alignment in international relations. It will seek friendship with all nations and strive for international peace." Maj. Zia Khan began the broadcast with these words: "I, Major Zia, Provisional Commander-in-Chief of the Bangla Liberation Army, hereby proclaim on behalf of Sheikh Mujibur Rahman the independence of Bangla Desh. "I also declare," he continued, "we have already formed a sovereign legal government under Sheikh Mujibur Rahman which pledges to function as per law and the Constitution." This speech by Major Zia on March 30 that was reported in the Indian press on March 31 was not widely reported in the world press. The declaration of independence, as announced on the morning of March 30, 1971 by Major Zia, was not reported in any of the English language world newspapers outside India that were surveyed. After Swadhin Bangla Betar Kendro ended transmission Kalurghat in the afternoon of March 30, 1971, Major Zia made his way to Brahmanbaria and met up with Major Khalid Musharraf and Major Shafiullah on April 3, 1971. He would then go on to serve with distinction as a sector commander under Colonel M.A.G. Osmani, the commander in chief of the Mukti Bahini. Contrary to the conventional wisdom that has developed over the last three decades due to the constant rewriting of Bangladesh's official history, the world press reports from late March 1971 make clear that Bangladesh's declaration of independence was widely reported throughout the world based on the broadcasts from Swadhin Bangla Betar Kendro on March 26, 1971. There is no doubt that Sheikh Mujibur Rahman's original message about attacks on EPR and police barracks in Dhaka at midnight was widely reported in the world press. Although Major Zia's broadcasts from Kalurghat on March 28 about the creation of a provisional government were widely reported in the world press, Major Ziaur Rahman was not credited in the world press for declaring the independence of Bangladesh. Mashuqur Rahman is a freelance writer. Mahbubur Rahman Jalal is an archivist of Bangladesh Liberation War documents.